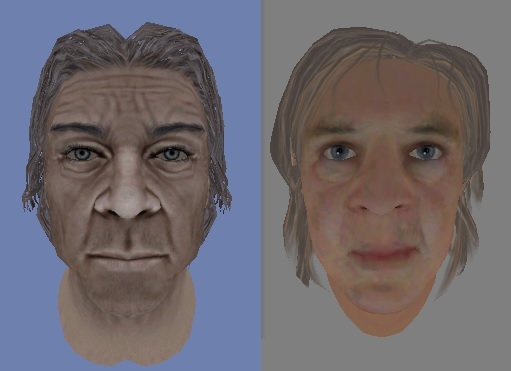 The problem is that I used the original L facegens as a basis for my revisions, and skyblivion.esm is not one of its parent masters. I am unable to run skyblivion.esm and SB_FaceGens_L.esp simultaneously without CK crashing during the load. I don't know a way around this without starting entirely from scratch. Hey guys, I've begun to work on facegen for A characters. I have like 5 of them done already, and I'll post screenshots of them later. If you guys could, please note this on the spreadsheet. Thanks. Did you perform the required ini edit? I can load the Skyrim and Skyblivion 0.1 masters (both full size) without crashing. What's the required ini edit? Here are the revised files for facegens for L characters. I also added all the Leyawiin Guard facegens. This time I made sure the files were created using the skyblivion.esm parent master. I see many unfinished facegen letters assigned to someone called bigbobblehead, is he still around and doing them? @Bobafett, sorry I don't think those are right either. You don't make the npcs, you just edit the ones that already exist in the master file. The faces look really good, however you might want to stick to using the presets for the skin color, some of them especially the orcs will look really weird ingame. @ChaosEpoch, we could share the facegening for the jobs he's never finished if that's okay with all of you guys. @Rovan3011 I'll get to fixing that problem right away. sure thing, if it's ok for me to start on A then I'll get get onto it. I was asking just in case it was actually getting worked on and I didn't want to needlessly start something. I'm presuming from what I've read in the past page and a half I'll need to go back in this conversation a little more in order to read up on some specifics for the character port work. one thing however, is there anything I need to specifically worry about should I run into a undefined variable, such as a missing spell etc... or is it just purely worrying about the facegen at this stage. @ChaosEpoch, actually I've already started on A, so you could start on the next letter that's not already done. And don't worry about undefined variables/missing spells or stuff like that. Just work on the facegen for now. I'm working on "B" so make sure you don't do that one. ok, so what letters are free, can we get an updated list. UndeadDremora hasnt been offnline for over 7 months so the face's he worked on and completed will probably never reach us. The letters W X Y and Z are now open again so facegen away! goodluck and thanks for the help! ok, thank you for the response. I'll start on D, doing things alphabetically. I just noticed an actor missing from the .esm, one miss Dahlia Rackham who is an NPC from the dunbarrow cove addon. are these NPCs going to be added? Maybe later. The current Skyblivion.esm is original Oblivion master file with SI expansion only. Hey guys, I've just finalized my facegens for the L characters. ​I've made improvements to the accuracy of character faces and skin colors. Also, Rebelzize, I noticed that you marked L as done recently, but the file does not actually contain all the necessary L characters. If you can, please edit the spreadsheet to credit me for L characters as well. Let me know what all you guys think. here's an update from me, roughly 11 characters so far but I'm looking for comments on these two in particular. the wood elf I worry for two reasons, one that he looks way too skyrim generic and two he looks nothing like his vanilla counterpart for lack of having any bald options available. so I instead tried to emulate the hunter/fletcher-blacksmith characteristics he poses as best I could. I'm aware of how horrendous the skin tone is and will be correcting it by the next character test I do. ChaosEpoch, you have Oblivion for PC, right? If so, then get the Construction Set for Oblivion. I open one instance of the Creation Kit and one of the Construction Set and open the file of the same NPC in each. It makes your facegen more accurate when you can compare both counterparts of the character side-by-side. That's my facegen method and I think it would work well for you. If not, you could just google each NPC, but you will lose accuracy in your facegen and be at a disadvantage in facegening guards and other nameless NPCs. Let me know what you think. yeah, I got oblivion available to do that method mentioned and was even think of doing so, but so far the wiki images have served their purpose well and I haven't felt like I needed to. the reason I posted my comment was because I was looking for people's thoughts on the fur coloration on the cat and... how workable the elf draelin is, because quite honestly I hate how he looks like that guy from riverwood, and pretty much every other wood elf in skyrim because they all look the same. making the cat's fur redder causes the face to look more alike, but to my eye makes the rest of his body look way too strange. I don't know, maybe I'm just nitpicking things here. as with guards and (generic) nameless NPC's, my thoughts are that you can make them look however you want and essentially be as creative as you want. the guards in oblivion are a bunch of clones and my guess is that the skyrim guards all had closed helms on to try and remove the consistency look. with other people, not so much. Chaos, if you'd like, you could send me what you have so far and I'll make some edits for you. I've made quite a few wood elves and Khajiits in my L and A facegens, so I could improve what you currently have. Then I'd post it here so you can continue. That way, you have a good idea of how to facegen other characters of these races. If not, then just try many different skin tones for those races and go with the one you feel is closest. That's what I did. updated the album with additional actors and tweaks to the ones posted. the only thing I could ask help for is the argonians that I have, since I have the face bug for them. unless there is an ini tweak or somewhere that you guys know about, google came up with nothing. Dar Je I did with the full view but needs work, especially with face colour. Just curious, what happened to the original facegens done last year? Are those all gone?? Wow... Last night when I posted this, I was either completely incompetent or inebriated, or some combination thereof... How I didn't realize I was in the wrong forum... lol thanks. Hey Rebelzize, mark me down for W, X, Y, and Z facegens. Thanks. bobafett131 gave you credit for L and replaced files with your improved ones. goodluck and thanks. I just finished facegening W, X, Y, and Z characters. I put a lot of effort into them, but the Argonians were hard to edit because of the face bug. As a result, the Argonian facegens may seem sloppy. I'm currently having issues with my computer (and then there's also other stuff like work). I'll try to get back to Facegen ASAP, however if it happens that I'm holding the project back, then someone is of course free to do it (or let me know so I can finish what I'm busy with, and give that). EDIT: I see I'm no longer on the spreadsheet, I'm doing G.
Rovan, they look really good. Rovan, they look really good. There's just one thing I would like to suggest that you could improve. Make Baurus' skin darker so he looks more like a Redguard, adjust his weight, and try to make his face match the Oblivion version as much as possible. Oh yeah, I meant to do that, I just never got around to it. I'll fix that later today. Edit: Okay, I got that fixed. I updated the original file I posted above. There probably will be a public release once facegen is done, verified and merged. Since I just finished W, X, Y, and Z, I've recently been working on U facegens. I realize someone is already supposed to do it, but it's been a long time already and I can probably finish them within a few more days. If possible, please mark me down for U facegens. I'm having some trouble getting a good model of Emperor Uriel Septim. I'm looking for suggestions on which one of these are best, or what I should change. I tried to get the facial structure as close as possible, even though it doesn't really look like it due to oblivion's faces being so weirdly shaped. I'm also thinking it might be a good idea to change the race from Imperial to Elder, since that might look a lot better. Edit: I think he's technically under "E" for facegen since that's where he is in the wiki, and that's what I've been using. However I could see him being under "U" as well. Rovan, I've actually already made a model for Uriel Septim because he's under U. The UESP has him under "E" so that's what I'm following to be consistent. Also in the creation kit it starts with E. However if yours is better we should definitely use it instead. I'm curious to see what you did for him. That one looks cool, I don't think there are any hairs that would quite fit for it though. I mostly based my model of Uriel Septim off his Oblivion appearance. I think you got the facial structure as close as possible, but the colors could be tweaked. In Oblivion its kind of red around his forehead and nose, as well as the eyes being a bit bluer. Here are the U facegens. And Rovan, let me know what you think of my final version of Uriel Septim. Hey guys, I just completed facegens for K characters as well. Finished "E" for facegen. I'll have pictures some time later, it might be a while though. I'm going to work on "F" now. Wow, we're making a lot of progress with this, Rovan! 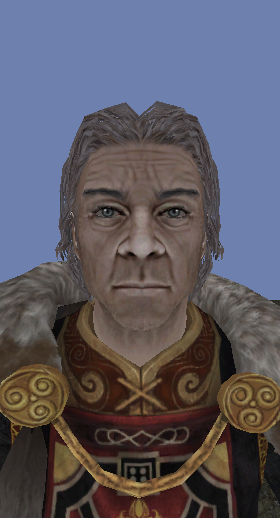 Hey guys, when I do facegening for generic NPCs like town guards and Arena Combatants, should I try to recreate the faces of their Oblivion counterparts, or could I give them unique appearances that I create myself? Finished "F". Gonna do "P"
Finished "F". Gonna do "P" and "Q" next ("Q" only has one NPC). I just realized that my geomtint archive for my WXYZ facegens did not include the skyblivion.esm folder within Facegeom and facetint. Here is a reupload of it. Here's "Q" and "P". Getting "O" next. Looks like we're about %65 done with facegen, there's nine letters remaining with only "M" and "V" unclaimed still. I finished "O". Took a while cause I've been busy with IRL stuff, but anyway here it is. I've also been going back and fixing a lot of problems in some of the previous letters I did. A lot of them were missing a few people, and I had the folder structure wrong. I also wasn't quite happy with the way some of them looked. As I fix them I'll be posting them here again. These should be used instead of the ones I posted before. So far I got "T" completely fixed, and all the I'll add the others as soon as I make sure they're all good. Edit: Got "S" and "R" and the other ones will be quicker since they have less mistakes. Edit2: "E", "F" "P", and "Q" are up. Edit3: Okay done with all the fixing, I guess I'll work on "M" next.